VoteRiders has just created broadcast-quality PSAs: 60-second video along with 60-second, 30-second and 15-second radio (links below). Mr. Clifford Glass of the United Steelworkers is featured in the PSAs except the 15-second piece. I provide the voiceover narration. he lead contributor is the amazing Dailey Advertising (http://www.daileyideas.com) – clients include Ford, Honda, Nestle, etc. ), whose president, Tom Lehr, inspired a top-flight crew of professionals and resources to create these media for us and whose sister agency is working on placing the PSAs in the major media markets in all photo ID states. 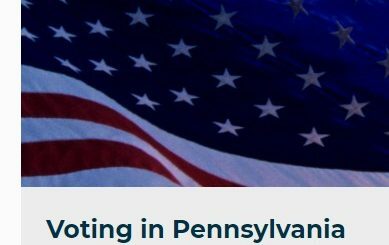 I’ve sent the PSAs to the PA Voter ID Coalition for distribution via their media contacts; I’ve also sent them to some key election protection and other organizations, as the hotline number – 866-OUR-VOTE – is highlighted in each PSA. An initial estimate of the full-rate retail value of what these in-kind donations would have cost = $75,000! The PSAs enable VoteRiders to fulfill a key part of our mission: to support, through media, organizations’ on-the-ground efforts to assist citizens with their voter IDs. Per an interesting article in the LA Times, local TV news is the only daily news source accessed by a majority (58%) of registered voters (http://www.latimes.com/news/nationworld/nation/la-na-media-poll-20120824,0,1589157,print.story). P.S. To build traffic on VoteRiders’ Facebook page, it would be really helpful if you or anyone you know would please Like, Share and/or Comment on our postings at https://www.facebook.com/VoteRiders!